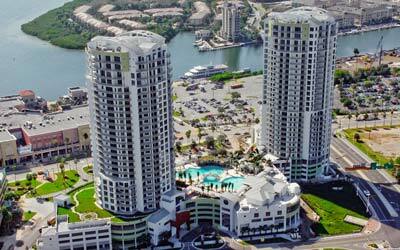 Channelside has become one of the most exciting communities of South Tampa. This neighborhood is located along the port of Tampa with High-Rise condominiums, shops, dining and entertainment all within walking distance. The centerpiece of Channelside is the Channelside Complex which contains shopping, restaurants and the Florida Aquarium. Additionally, living in channelside gives keeps you centrally located to the Tampa In-Town Trolley system which gives you access to Downtown Tampa, Marriott Waterside, St Pete Times Forum, Hyde Park and Ybor City. Those looking to be where the action is at should certainly take a look at this fast growing neighborhood.